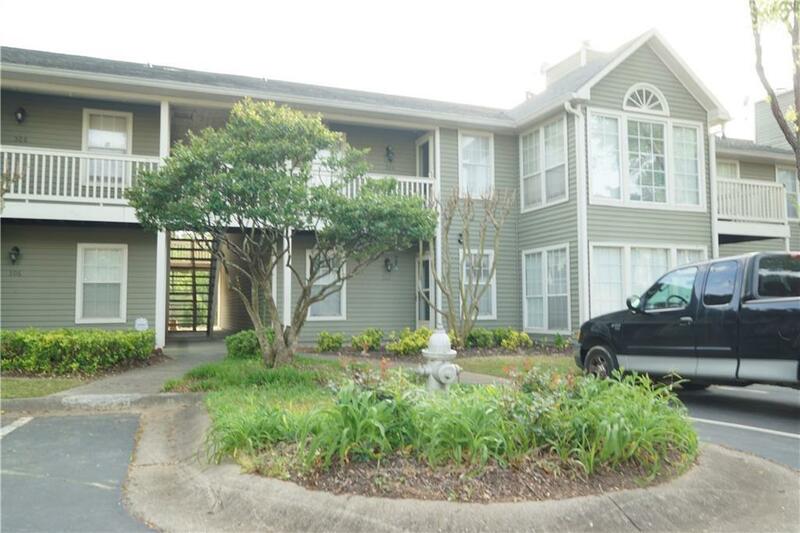 BEAUTIFULLY MAINTAINED UNIT IN SWIM COMMUNITY! 2 beds 2 baths with additional charming sunroom that is ideal for home office. Walk-in closets. Nice fireplace in living room. Formal dining. Both bathrooms have been completely renovated. New carpet. Dryer and Washer machines stay!! Assigned parking space. Can't beat location 1,5 mile from I85, minutes from malls, shops and restaurants. Monthly HOA fee includes Swimming pool, water/sewer, trash, exterior maintenance. FHA Approved. Donât miss this opportunity. Directions: I85 N, Exit 96 Right On Jimmy Carter Blvd, Right On McDonough, Right On Graves Rd, Right On Olde Mill Ln.